Big data analyzation platform company Splunk announced Tuesday that it will acquire security automation and orchestration company Phantom Cybersecurity in a deal worth $350 million. 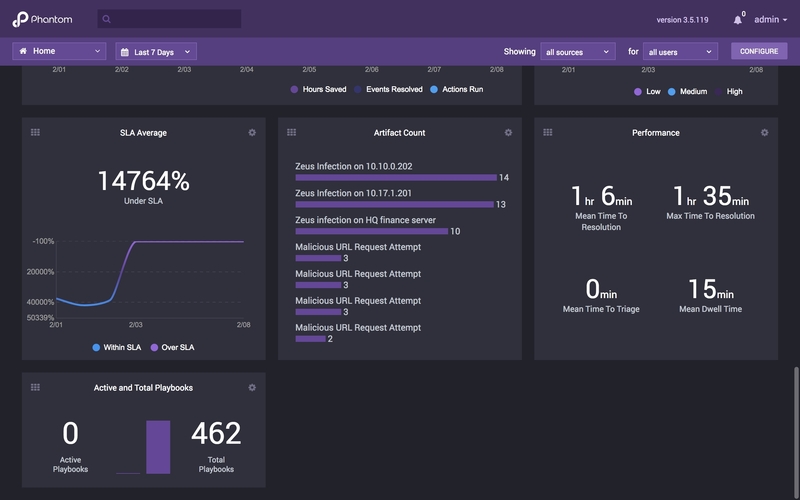 Phantom’s platform relies on automation to complete various tasks and workflows, freeing up enterprise security teams to focus on high-level issues. By combining Phantom’s product into Splunk’s data automation platform, enterprises will be able to further reduce risk and respond faster to security incidents. The cybersecurity world has been buzzing about Phantom over the past two years. The company was named the Most Innovative Startup at the 2016 RSA Innovation Sandbox contest. It has raised nearly $23 million in funding since 2015. Splunk has been on an acquisition spree. The company acquired two smaller companies, Rocana and Signal Sense, in October. The Phantom deal is Splunk’s largest acquisition to date. The deal is expected to close during the first half of 2018. Friedrichs will report to Haiyan Song, Splunk’s senior vice president and general manager of security market. Check out our conversation with Haiyan Song from the 2017 RSA Conference.